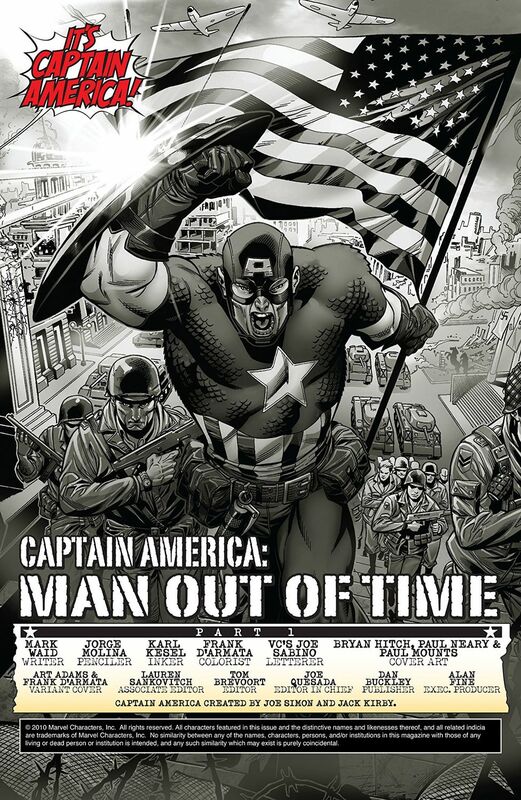 Collects Captain America: Man Out of Time (2010 Marvel) #1-5 and Avengers (1963-1996 1st Series) #4. 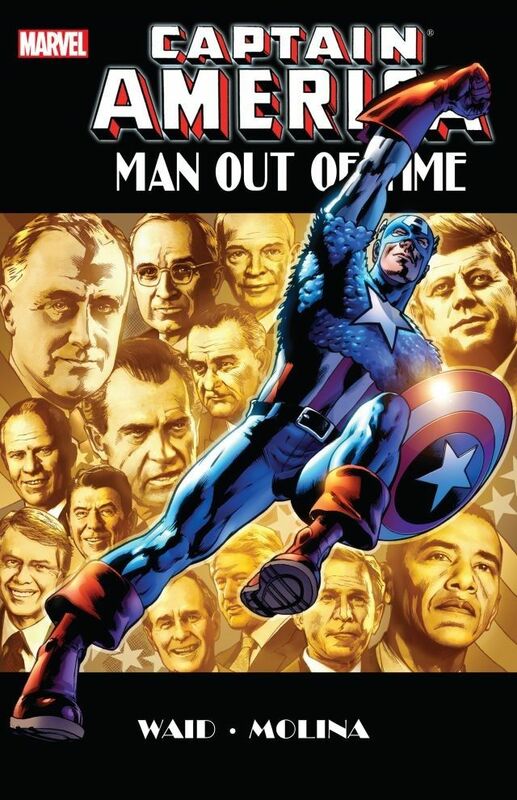 Written by MARK WAID and STAN LEE. 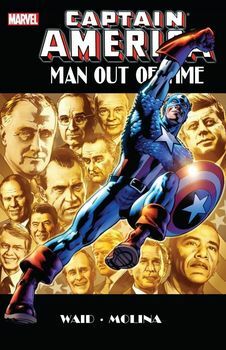 Art by JORGE MOLINA and JACK KIRBY. Cover by BRYAN HITCH. 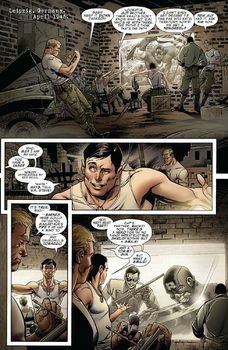 When the Avengers pull a mysterious, tattered soldier from the sea, they unwittingly bring back to life the Living Legend of World War II - a man whose memories of a life sixty years ago are as fresh as yesterday! 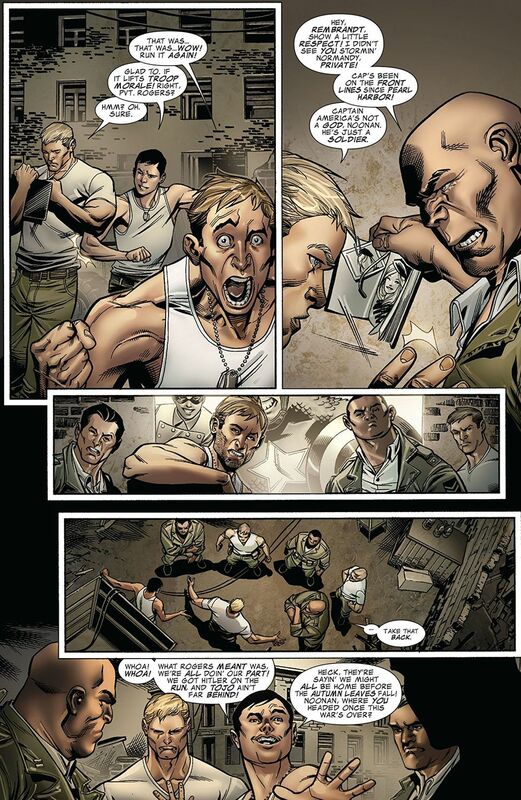 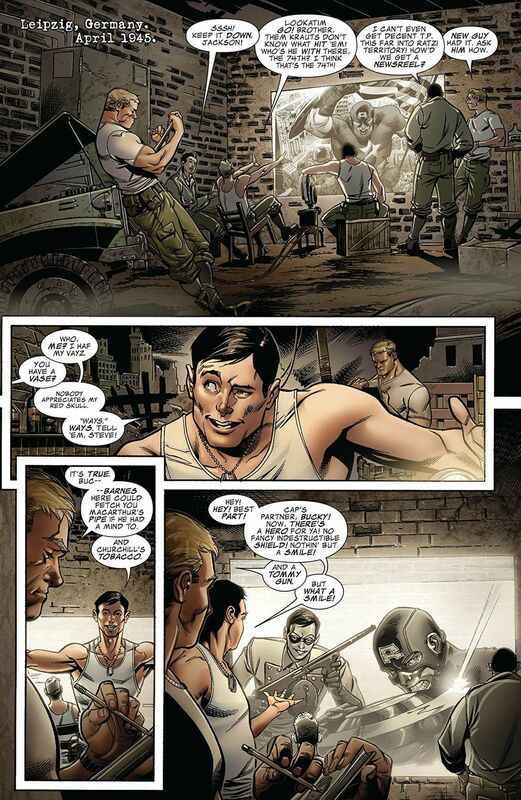 How will Steve Rogers, frozen in suspended animation for half a century, adapt to the world of the 21st century? 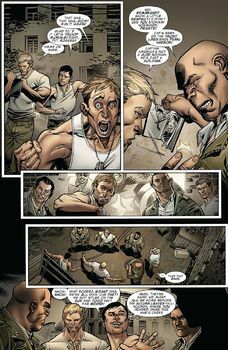 Brought to you by super-scribe Mark Waid (CAPTAIN AMERICA, AMAZING SPIDER-MAN) and AVENGERS: THE INITIATIVE artist Jorge Molina!